One of the key tools in effectively managing critical illness is the use of mechanical ventilator support. This essential text helps you navigate this rapidly evolving technology and understand the latest research and treatment modalities. A deeper understanding of the effects of mechanical ventilation will enable you to optimize patient outcomes while reducing the risk of trauma to the lungs and other organ systems. A physiologically-based approach helps you better understand the impact of mechanical ventilation on cytokine levels, lung physiology, and other organ systems. The latest guidelines and protocols help you minimize trauma to the lungs and reduce patient length of stay. 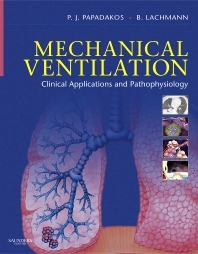 Expert contributors provide the latest knowledge on all aspects of mechanical ventilation, from basic principles and invasive and non-invasive techniques to patient monitoring and controlling costs in the ICU. Comprehensive coverage of advanced biological therapies helps you master cutting-edge techniques involving surfactant therapy, nitric oxide therapy, and cytokine modulators. Detailed discussions of both neonatal and pediatric ventilator support helps you better meet the unique needs of younger patients.